The rise of chatbots and smart speaker-powered voice assistants, such as Alexa and Google Home, has produced the need for specialist analytics so developers can track how well those conversational interfaces are working. Hoping to take a chunk of this nascent market, including competing with Google’s own chatbot analytics product Chatbase, is Istanbul and San Francisco-based Botanalytics. Previously backed by 500 Startups, the company quietly raised $1 million in seed funding late last year. The round was led by ACT Venture Partners and will be used by Botanalytics to further develop its technology. This will include enhancing support for “voice first” platforms, and enabling business to gain actionable insights based on customer conversations, including understanding how to improve customer support across various channels. The idea is to be able to optimise voice and chatbot performance for engagement, retention and other KPIs. As it stands, Botanalytics supports a plethora of existing platforms including all of the big names: Google Home, Amazon Alexa, Messenger, Slack, Twitter, Telegram, Kik, Twilio, Skype, Line, Microsoft Teams, WeChat and Viber. 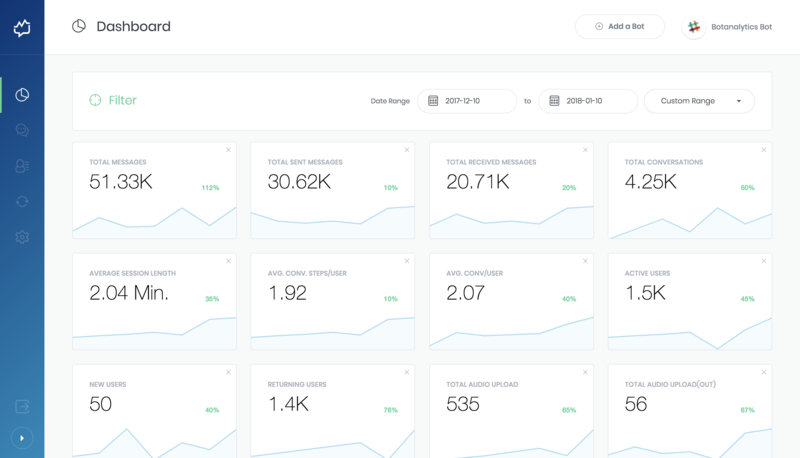 The analytics offering spans a number of features, such as “fundamental metrics” measurement, segmenting conversations, tracking activities of a chatbot, retention of conversations, live take-over, broadcast messages and the ability to set up funnels. The Botanalytics tech also claims to be powered by AI (presumably NLP). This makes it possible to track transcripts of any conversation — including rich media such as video, audio, location and images — and compare live conversations with historical ones. CEO Ilker Koksal tells me the main difference with Botanalytics compared to competitors is that is it positioning itself as a broader conversational analytics play, including newer voice interfaces, and traditional customer support, not just chatbots. “We’re analyzing all conversational channels of companies,” he says. To that end, Koksal says Botanalytics’ customers are agencies that build bots for clients and companies with various customer support channels. They include Coca-Cola, McDonald’s, Ford, L’Oréal and GoPro.